In 2017, schools in Belgrade and Bozeman raised over $7200 for pediatric cancer research by holding a Crazy hair day, Hat day or “Star” day. On “Star” days, kids dressed up as their favorite sports figure, actor/actress or other well-known figures. Each child who participates brings in $1or more. In total these events at our local schools have raised over $22,000 since 2013!! Lucy’s Light loves these events as they show our kids that when we work together, we can make big things happen. Every dollar makes a difference. Lucy’s Light and the Belgrade School District has inspired other schools in our state to hold their own crazy hair or hat day to raise awareness and money for pediatric cancer research. This fall we added the Three Forks School District, Powell County High School in Deer Lodge, Shields Valley School in Livingston, Emily Dickinson Elementary in Bozeman and Meadowlark Elementary in Bozeman. Over $4,700 was raised for our kids fighting cancer. In total, these crazy hair and hat days have raised close to $15,000 since we started in 2013! We hope other schools are inspired and will join us for the next event. Lucy has her own cookie! Lucy was honored to be given her own Cookie this fall. 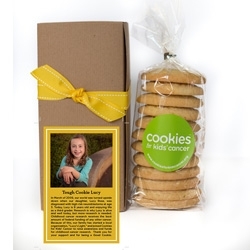 The sales of her lemon sugar cookie over the holidays raised over $1500! 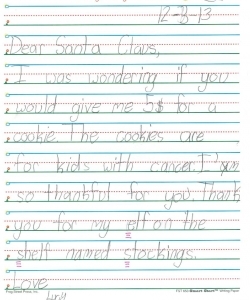 Remember you can order Lucy’s cookies all year long. 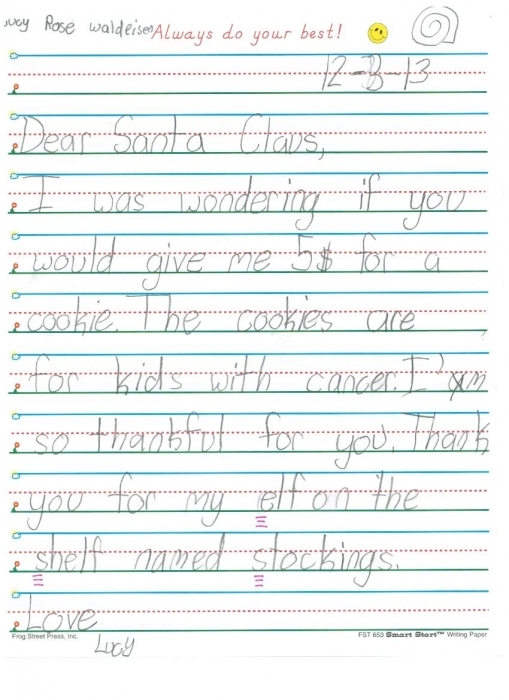 They are a great gift idea for everyone and 100% of proceeds support pediatric cancer research. Belgrade School District’s Hat Day raised over $3200 for pediatric cancer research! We want to thank the Belgrade community and School District for their overwhelming support of our kids fighting cancer. We are so proud to be part of such an amazing and generous community. On September 19th, each school in the Belgrade School District is having a “Hat Day” to support childhood cancer awareness and research. All money raised on this day will go to Cookies for Kids Cancer (CFKC). What is a “Hat Day” exactly? On September 19th, each child can wear a hat to school if he or she brings $1 or more to donate to CFKC. Last year, Saddle Peak Elementary had a Hat Day prior to our 2nd Annual Lucy’s Light Dodge Ball tournament. 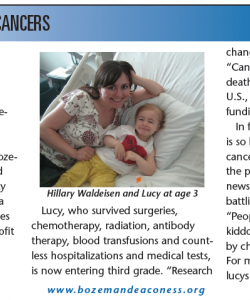 This school alone raised $1100 for pediatric cancer research (see letter from Lucy and Cookies flyer). We are hoping to bring in over $3000 this September between the 5 schools. Please help support Lucy’s Light and CFKC this September 19th by wearing a hat and donating for this very important cause. Together we can make a difference for these children battling cancer. Video RMHC made about Lucy.